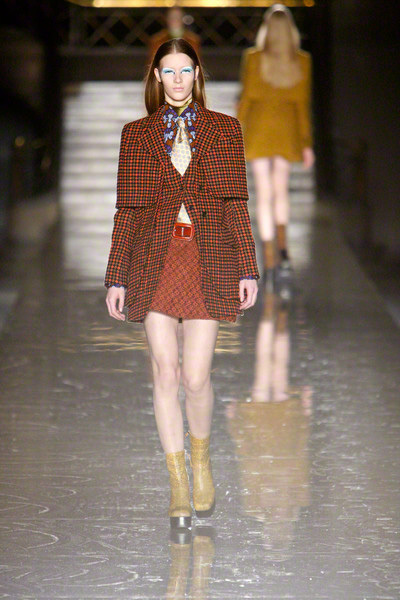 It’s been a while since Miucca Prada wove a common thread between her two lines, Miu Miu and Prada. 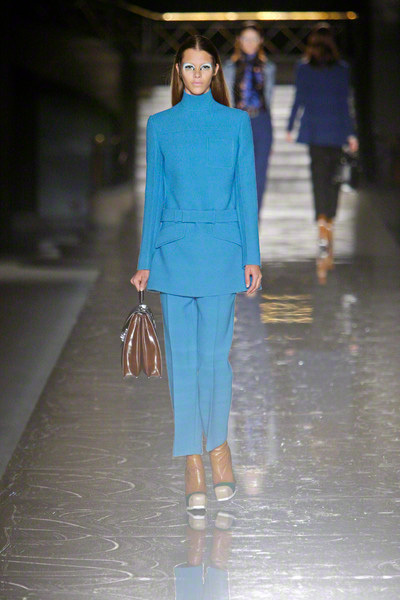 But pantsuits are the only thing exciting to her after so many years of skirts and dresses, she explained to the press. 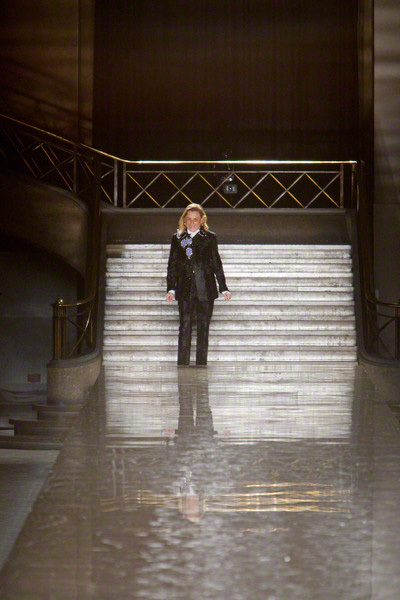 And her pantsuits are still not ordinary. 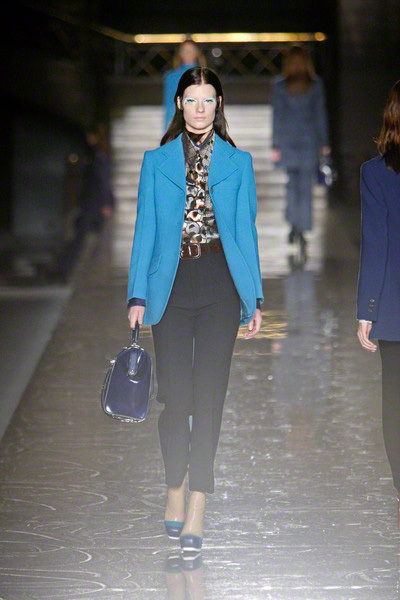 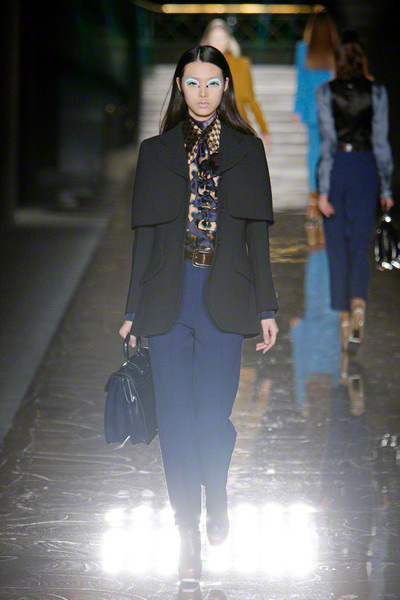 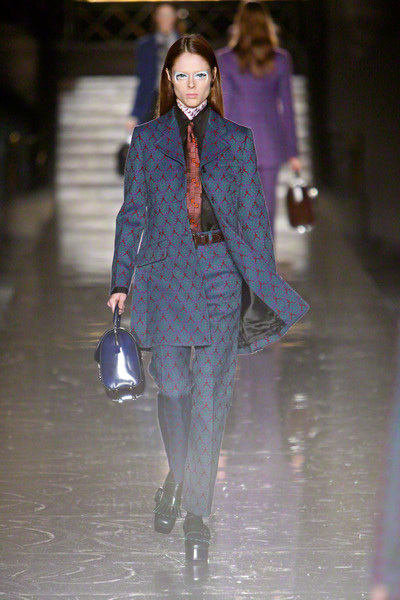 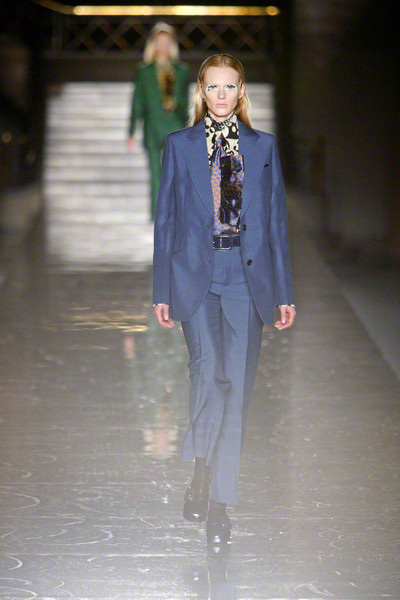 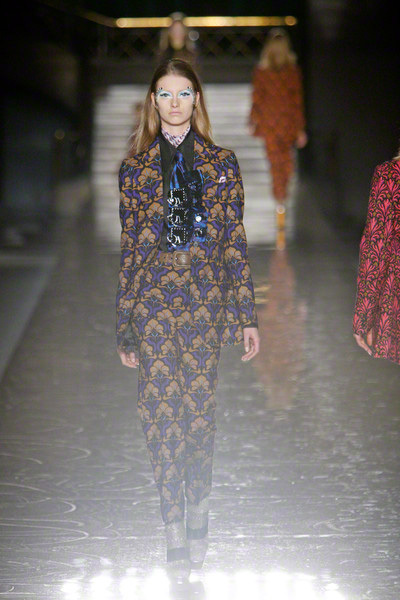 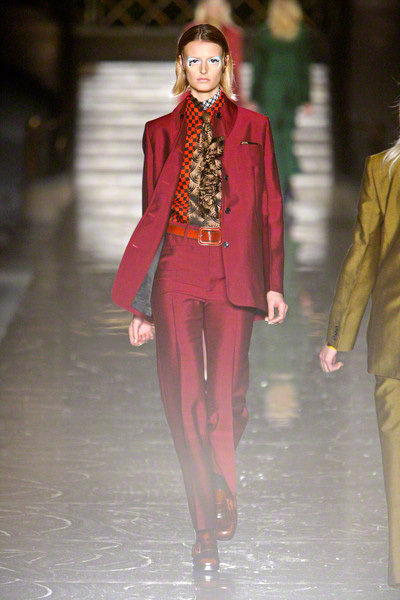 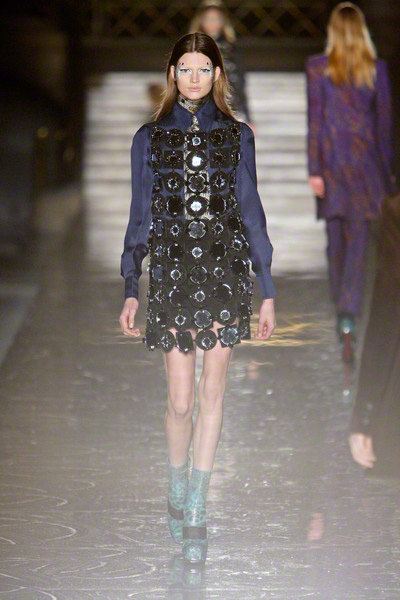 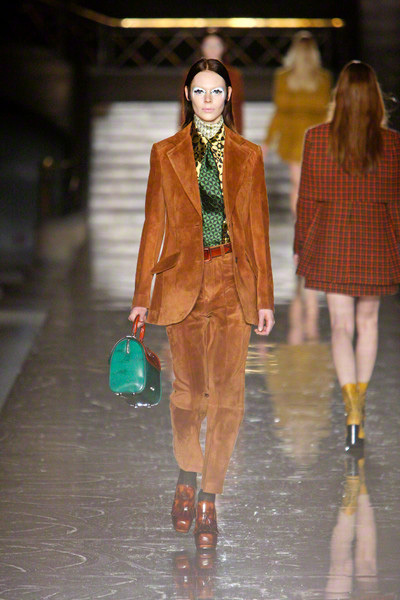 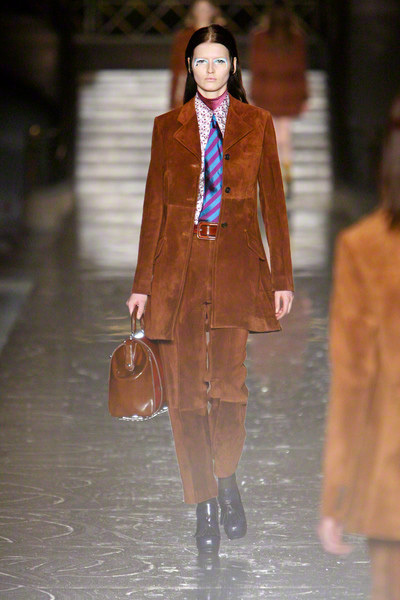 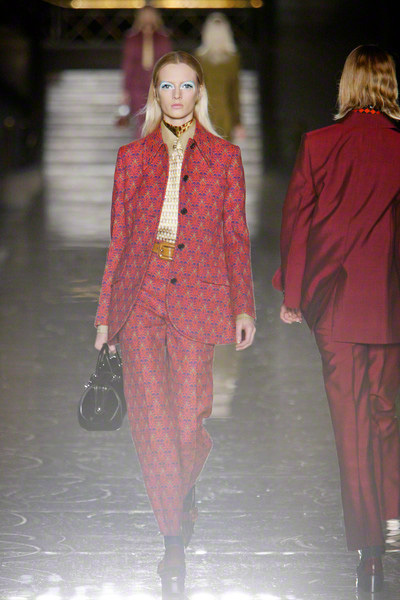 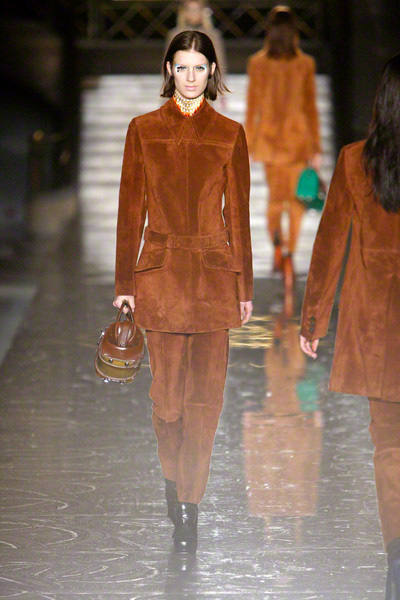 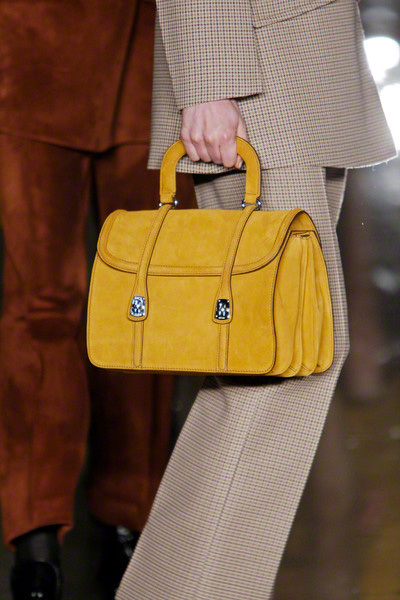 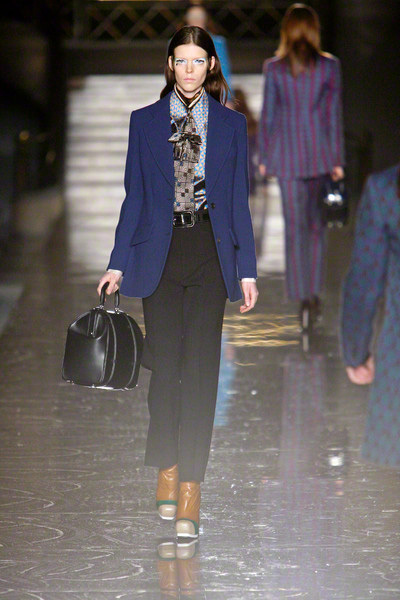 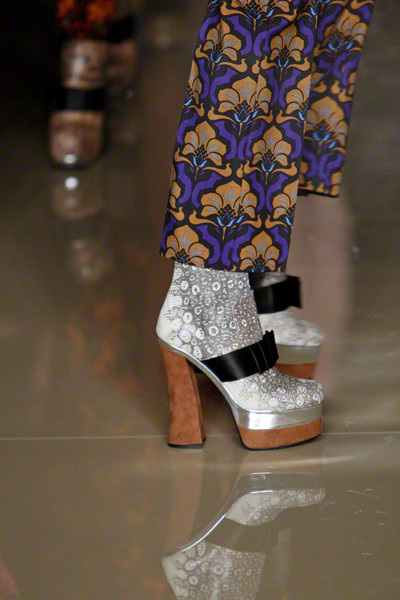 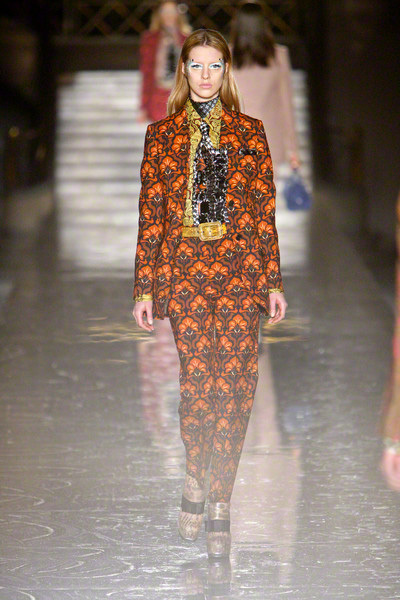 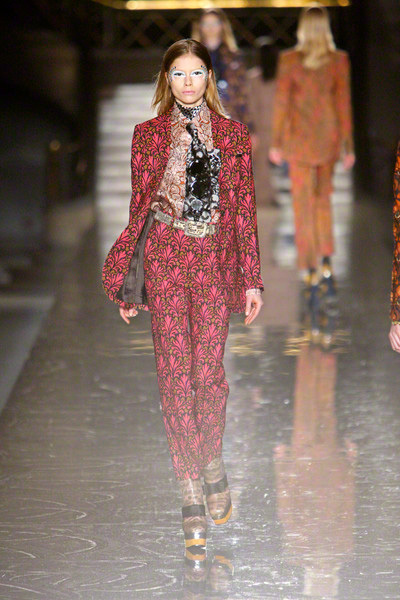 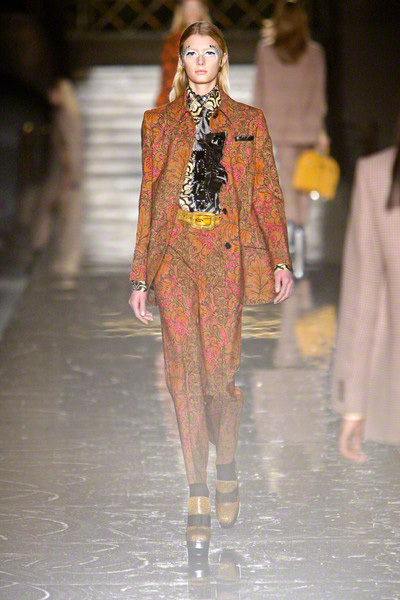 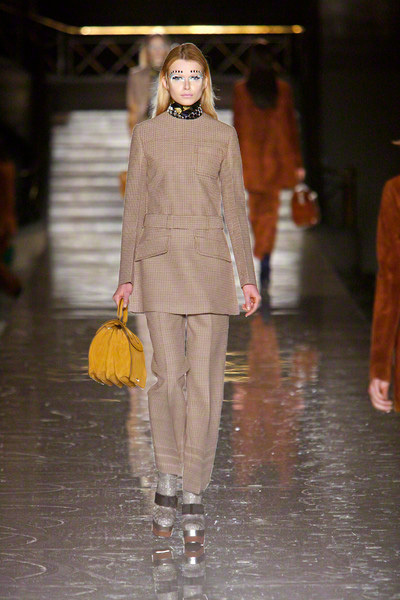 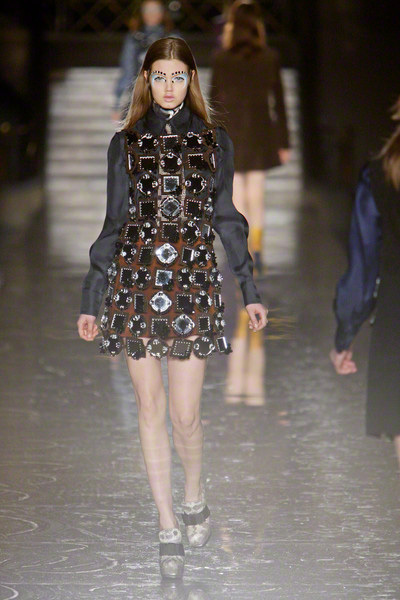 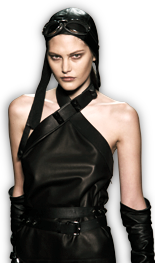 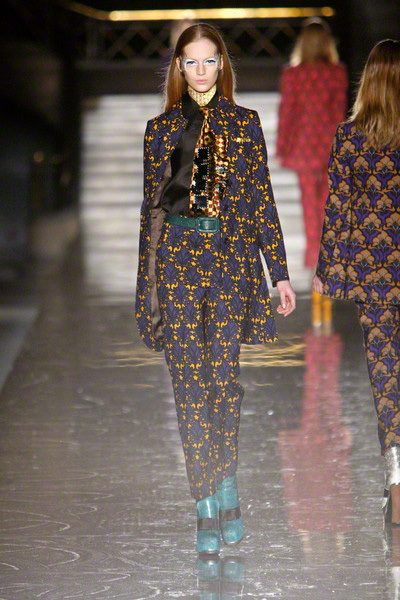 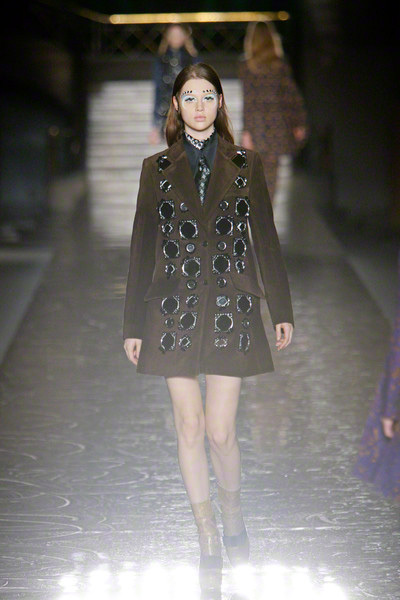 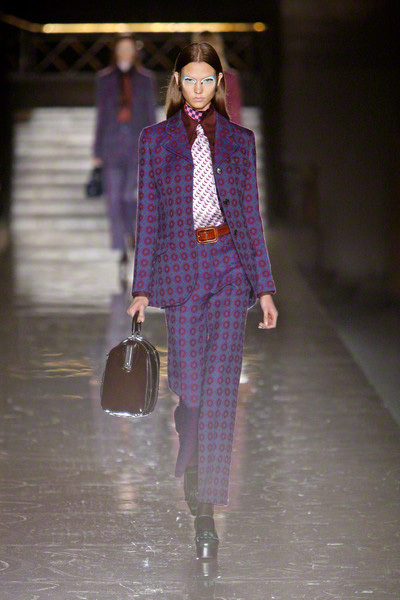 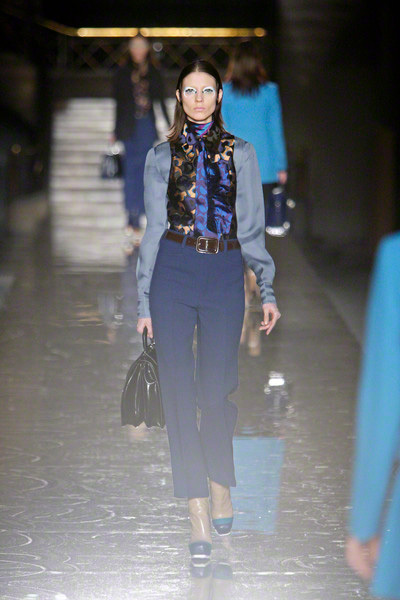 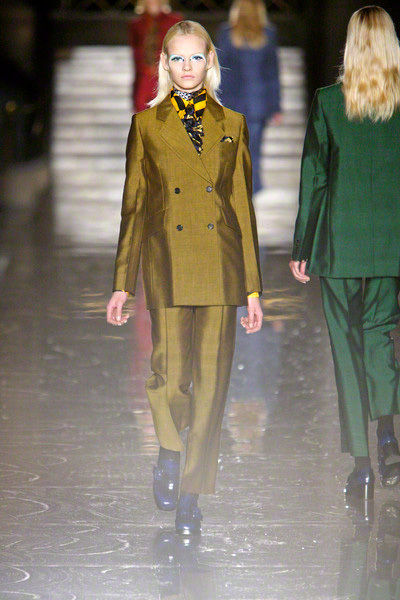 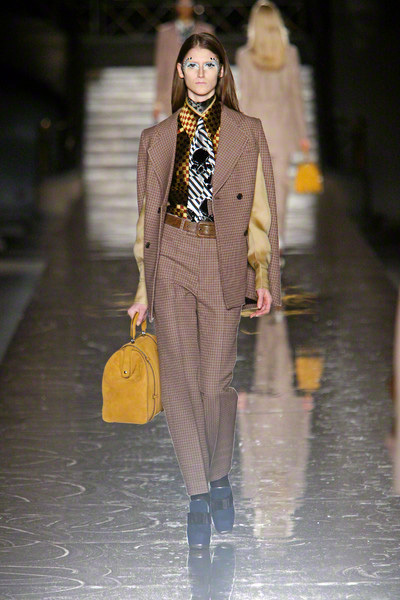 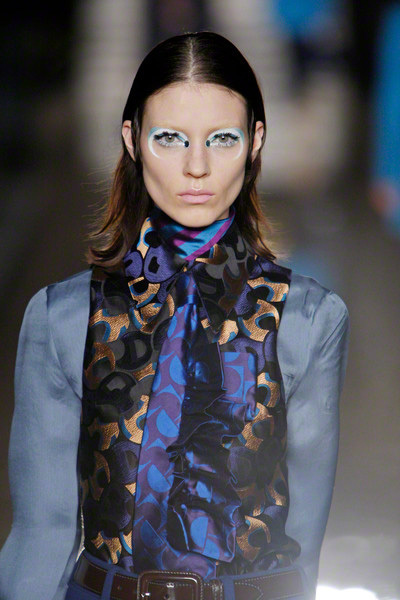 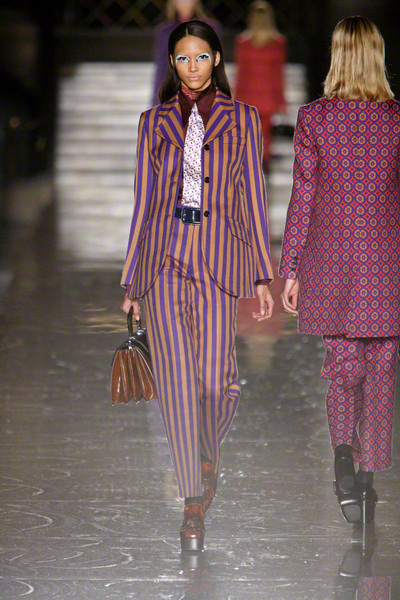 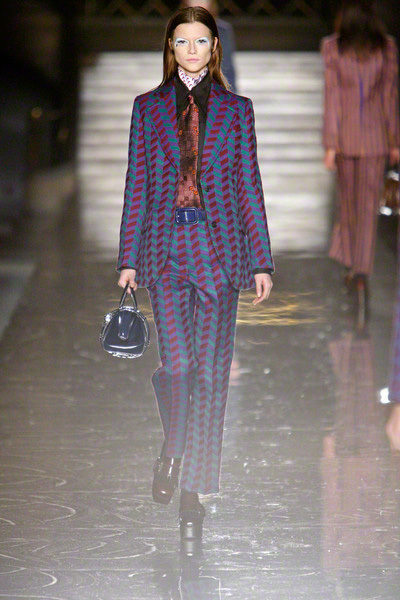 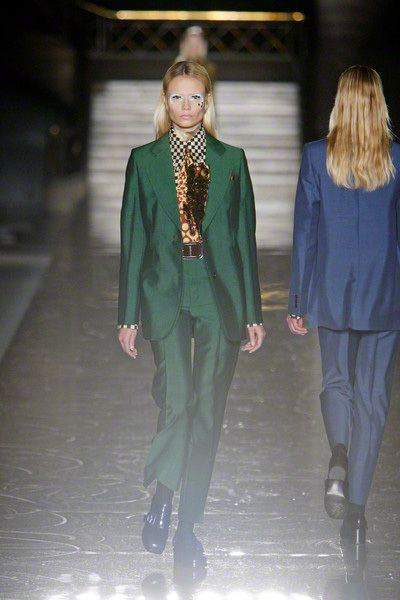 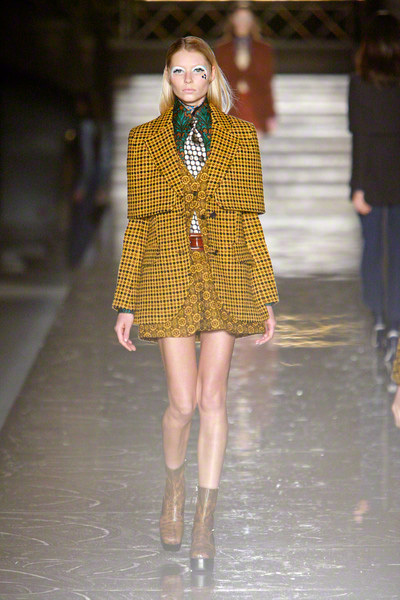 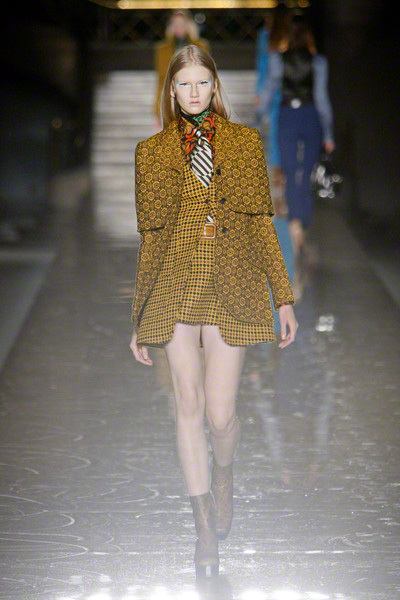 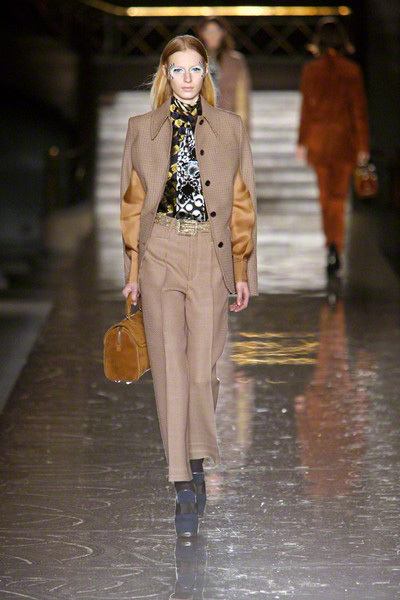 The Miu Miu clothes looked mannish and leisurely in a retro way. 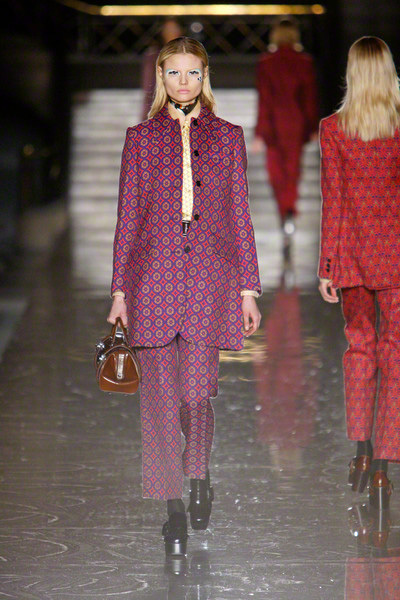 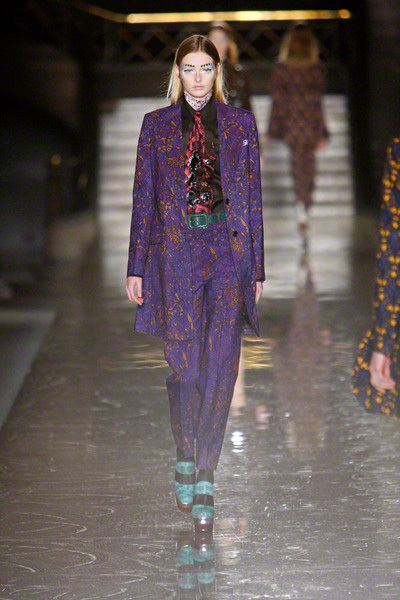 Jackets and matching ankle-length pants had roomy cuts, and were worn with buttoned-up blouses, scarves and ruffled, wide ties, all done in clashing patterns and color combinations.